EINTERZ & EINTERZ SEMINAR SERIES. Why Plan for Succession?  Making sure our resources outlive us;  Leaving an inheritance if possible;  Retain control. 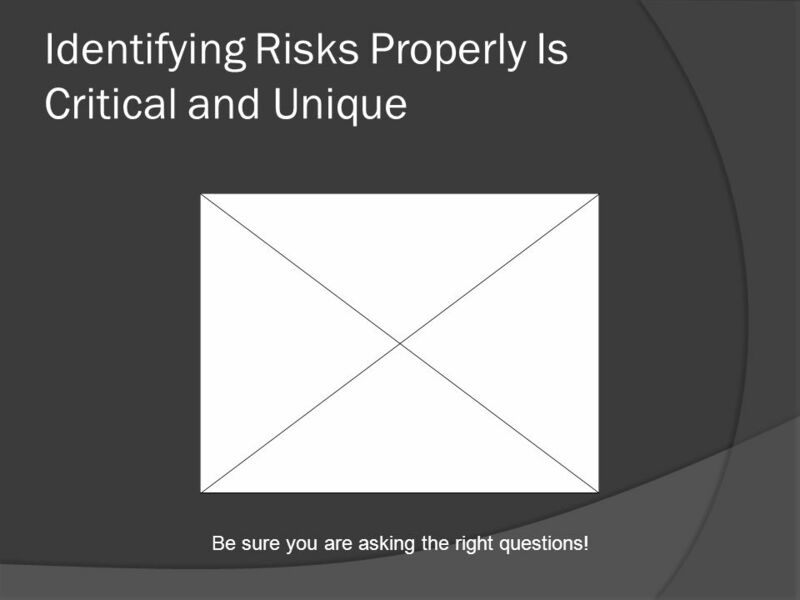 5 Identifying Risks Properly Is Critical and Unique Be sure you are asking the right questions! 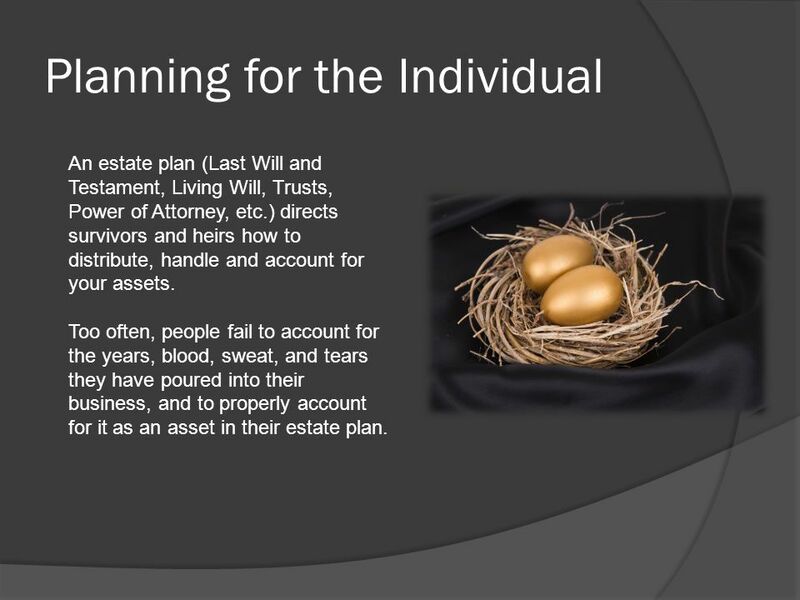 7 Planning for the Individual An estate plan (Last Will and Testament, Living Will, Trusts, Power of Attorney, etc.) directs survivors and heirs how to distribute, handle and account for your assets. 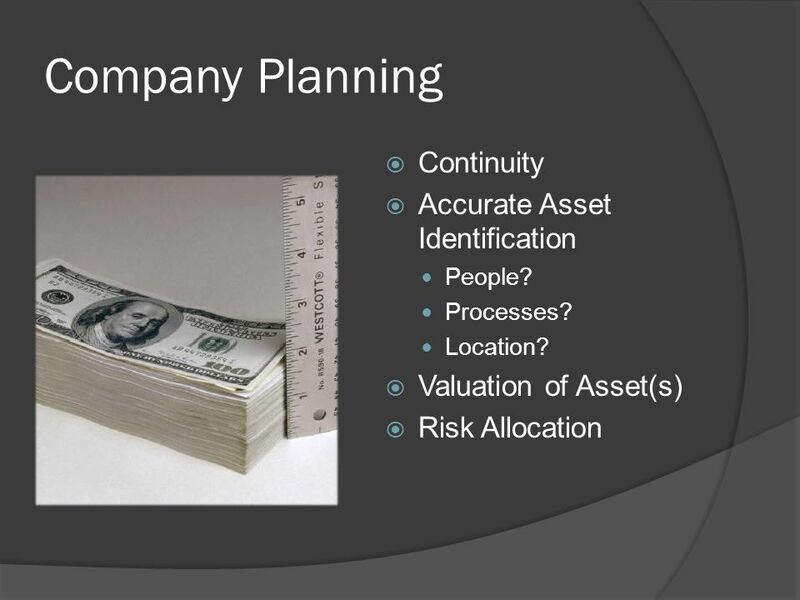 Too often, people fail to account for the years, blood, sweat, and tears they have poured into their business, and to properly account for it as an asset in their estate plan. 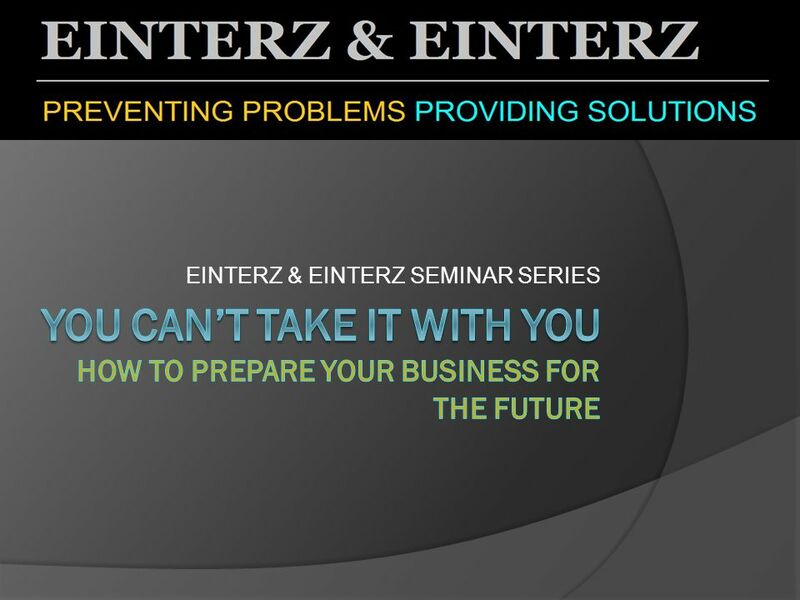 Download ppt "EINTERZ & EINTERZ SEMINAR SERIES. 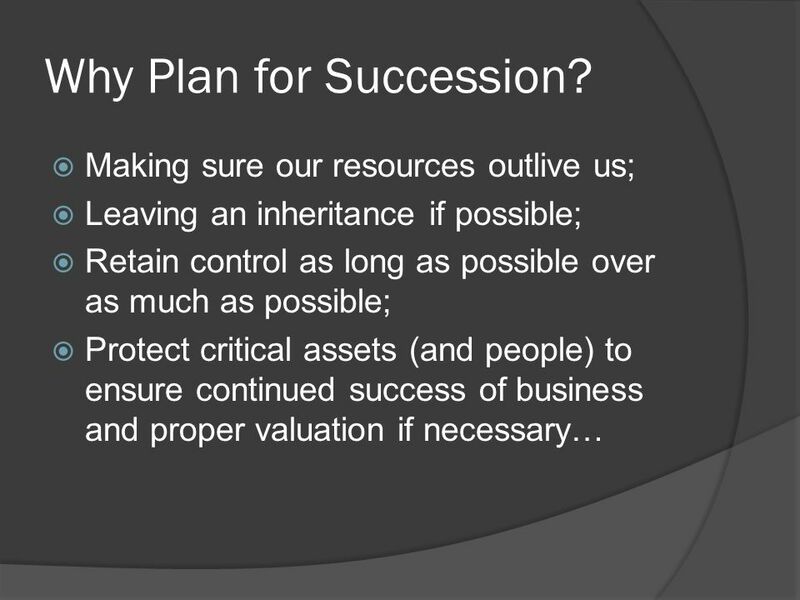 Why Plan for Succession?  Making sure our resources outlive us;  Leaving an inheritance if possible;  Retain control." Robinson Payne llc A Law Firm Focusing on Business, Banking and Estate Planning Jeffrey W. Kreye – Highlights of Practice: Business Advising individuals. 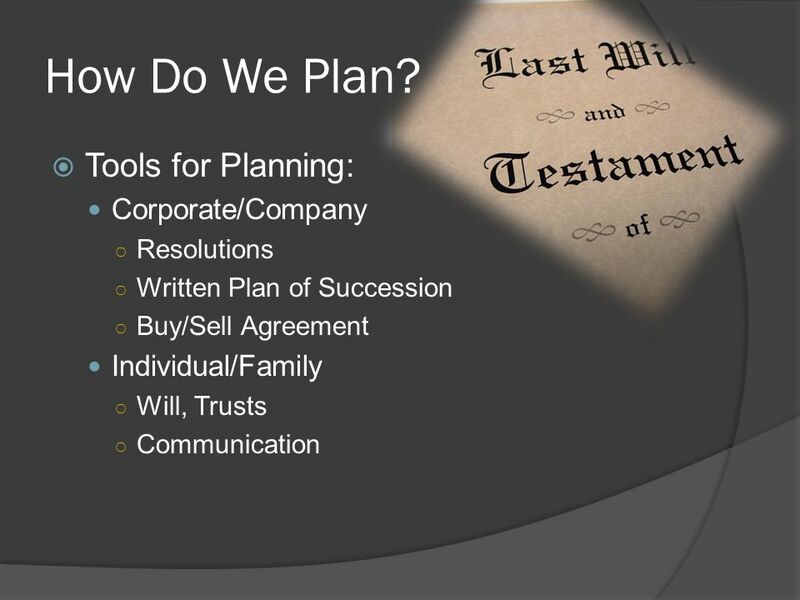 The Center for Financial, Legal, and Tax Planning, Inc. 1 Succession Planning: Seven Key Issues You Need to Know Presented By: Bart A. Basi CPA / Attorney. United Methodist Foundation of Arkansas Non-profit chartered in 1963 $130 million in assets Sixth largest of 52 UM Foundations Over 650 accounts 30 Board. 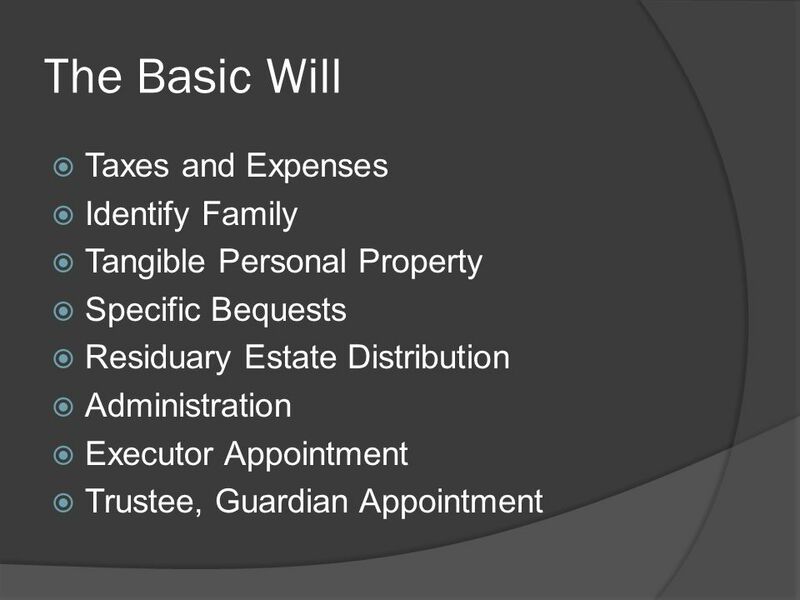 Financial Health Workshop - April 29, What is a will? A legal document of instructions listing the distribution of property, designating beneficiaries. ESTATE PLANNING 101: A BEGINNER’S GUIDE TO PLANNING FOR YOUR FUTURE. A Word of Caution These materials are presented with the understanding that the information provided is not legal advice. Due to the rapidly changing. ANGLORAND FINANCIAL SERVICES GROUP ANGLORAND TRUST AND EXECUTORSHIPS (PTY) LIMITED. Top 10 Estate Planning Misconceptions Law Office of JANE FRANKEL SIMS LLC Estates & Trusts. Copyright ©2004 Pearson Education, Inc. All rights reserved. 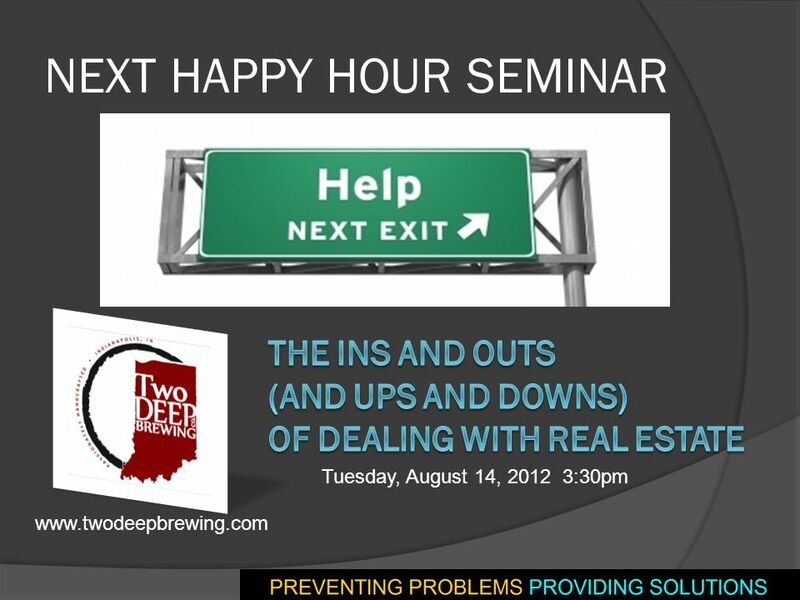 Chapter 20 Estate Planning. Estate Planning WILLS, TRUSTS, HEALTH CARE PROXIES AND ADVANCE DIRECTIVES BALANCING LIFE’S ISSUES, INC.
What is Estate Planning? Presented by: Daniela Lungu Attorney at Law. Documents: Wills Duke Legal Project. 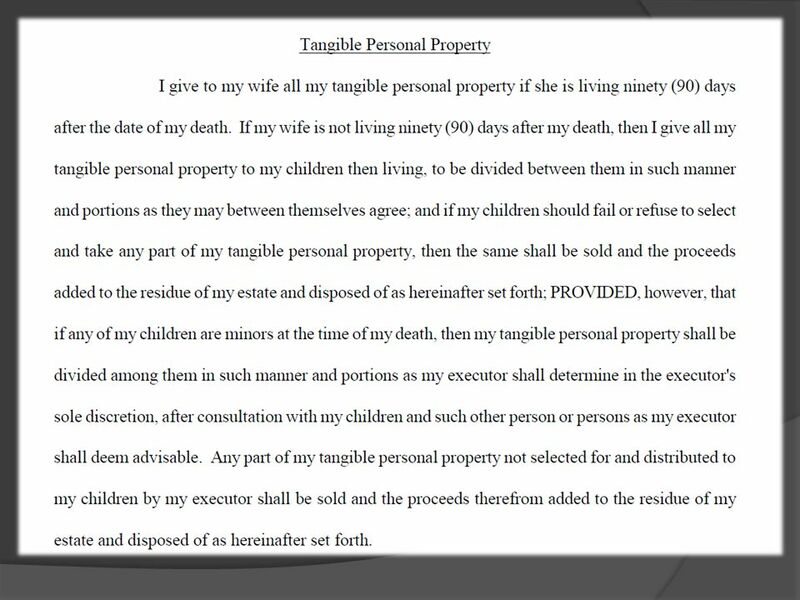 Purposes of a will Transfer property Name an executor to handle transfer of property Name a guardian for minor children. 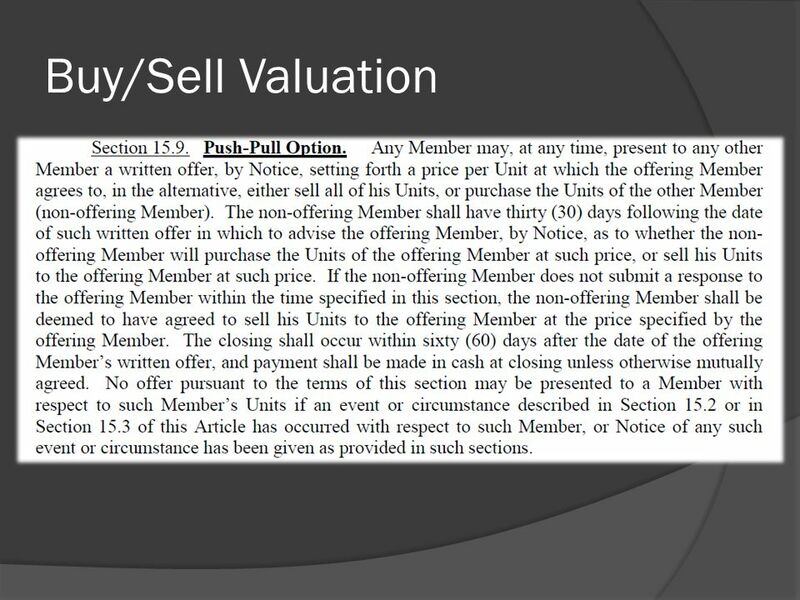 1 (of 23) FIN 200: Personal Finance Topic 23–Estate Planning Lawrence Schrenk, Instructor.